Acne is one of the common beauty problems faced by most of the people, especially teenagers. When the excess oil and impurities get trapped in the skin pores, the bacteria thrive in it which leads to acne. The excess production of oil can be triggered by hormonal changes, pollution, unhealthy food, stress and many others. So, if the excess oil production is controlled then acne will also reduce gradually. This can be achieved with proper skin care, simple home remedies, and healthy diet. Here’s what you have to include in your daily food routine to prevent future breakouts. And to treat the present acne, you can try simple home remedies include baking soda, aloe vera, honey and green tea help to remove the excess oil from the skin pores. 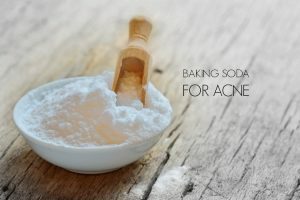 In this article, we will learn baking soda for acne in detail. Baking soda or sodium bicarbonate contains mild anti – septic properties and uncanny ability to fight against the fungus and the bacteria causing acne. It has anti – inflammatory property which decreases the swelling, redness and pain caused by acne. Generally, the bacteria which cause acne and other skin problems need an acidic environment to get doubled or multiplied. It has amphoteric property which neutralizes the pH levels on the skin. This discourages the growth of bacteria on the skin. It acts as a drying agent that effectively removes the excess oil in the skin which leads to blackheads and breakouts. So, apply some moisturizer after every trying out baking soda methods. Due to its gritty nature, it contains excellent exfoliating property which helps to remove the oil, dirt, dust, dead skin cells, etc. on the skin. The bicarbonate of baking soda penetrates into the skin which encourages the sodium transportation into all skin cells to slow down the metabolism. It leaves the skin soft, smooth and radiant. Here are few methods that explain the process of using baking soda to treat acne. Follow these methods regularly without fail to get complete relief from acne. When baking soda is mixed with water, it becomes alkaline which neutralizes the pH level of the skin. It also helps to remove the excess oil and other impurities from the skin. Combine enough amounts of baking soda and water to make a paste. Stir well and apply the paste on the acne affected areas. Gently massage in circular motion for few minutes. Now, let the application stay for 15 – 20 minutes. Rinse off the application thoroughly with warm water. Note: Baking soda may dry out the skin. If you have dry skin, we recommend using a moisturizer after trying out the baking soda methods. Use a good moisturizer which leaves the skin smooth and hydrated. This process treats acne present on back, buttocks, chest and arms. It also refreshes the skin, especially for those who have exposed their skin to swimming pool water which is heavily chlorinated. Add 1/2 cup or 100gms of baking soda to your bath tub. Run warm water in it and stir it well. Soak for 20 minutes and pat dry thoroughly. Alternatively, you can do a sponge bath with the solution. Apart from treating scalp acne and acne near hair line, this process also helps to treat the damage caused by styling gels and volumizers. Add 2 – 3 grams of baking soda into the shampoo bottle. Shake the bottle well to let the ingredients incorporate well. Wash your hair thoroughly with this solution to treat scalp acne. Fill it with warm water and add 1 tablespoon of baking soda into it. Close the bottle with its lid and shake the bottle well to let the ingredients mix well. Wash your face with your regular cleanser and water. Pat the skin dry and now spray this baking soda mixture onto the face thoroughly. The therapeutic clay absorbs the excess oil from the skin. It also leaves the skin smooth and radiant. Wash your face with a gentle soap that has salicylic acid. Exfoliate the skin with gentle scrub pad and pat dry the skin with a towel. Take a facial steam for several minutes to open up the pores. Apply this paste on the face and other acne-prone areas of the skin. Using fingers, massage gently for about 2 – 3 minutes. Rinse off the application and apply the therapeutic clay mask. Allow the mask to dry for about 15 – 20 minutes. Rinse off the mask with warm water and disinfect the skin with the help of benzoyl peroxide. Rinse it off after getting few minutes. Take ice cubes and rub it all over the face to close the skin pores. Finally end this process by applying a moisturizer. Continue doing this process regularly until you get relief from acne. As vitamin E oil is a fat-soluble vitamin, our skin can easily absorb it. It helps to heal the damaged skin can reduce the appearance of acne. Wash the acne affected areas with warm water and natural mild soap. Pat the skin dry. Combine 1 tablespoon of baking soda, few drops of water and content of 1 vitamin E oil capsule. Stir well until you get a nice consistency which is not too thick or runny. Exfoliate gently in small circular motions for 2 – 5 minutes. Wash it off properly with warm water. Pat the skin dry with the help of a clean towel and apply toner to close the pores and moisturizer on the skin to cure acne. Continue doing this process regularly to get complete relief from the acne. The antioxidants present in oat flour prevent the damage caused by acne and sun rays. It helps the skin to retain the elasticity and firmness. Combine 1 teaspoon of baking soda, 2 teaspoons of oat flour and 1 teaspoon of water. Apply this paste on the acne affected areas. Gently scrub in a circular motion as this helps to clear all the impurities in the affected areas. After 10 minutes, rinse off the application. The antibacterial properties present in lemon fights with the bacteria causing acne. It also helps to balance the pH levels. Combine 1 teaspoon each of baking soda and lemon juice. Apply the mixture on the acne affected areas. Exfoliate gently with your fingertips to clear the dirt, bacteria and dead skin cells that causing acne. If you have sensitive skin, add few drops of water into the mixture. Alternatively, you can add the baking soda and lemon juice mixture into 1/4 cup of water. Soak a washcloth in it. Wring out the excess and wipe the acne affected areas with it. Combine 2 tablespoons of baking soda, 1/4 cup of lemon juice, 2 tablespoons of brown sugar and lukewarm water. Stir it well until the ingredients are evenly blended and combined. Wash the acne affected skin areas and pat dry. Apply this mixture on the acne affected areas. Massage it gently in circular motions and concentrating more on dry patches. After scrubbing, let it sit for about 10 minutes and wash the applied areas with lukewarm water. Repeat the same process regularly until you get relief from acne. Tea tree oil helps to sort out the pimples and other acne symptoms on the skin. Combine 2 tablespoons of baking soda and juice of half lemon. It starts fizzing. Once the fizzing comes down, add 2 – 4 drops of tea tree oil. Stir well to make a fine paste. Note: if you want, you can add a little of water while mixing. Apply the mixture on the face and let it sit for about 5 – 10 minutes. Rinse off the application with cool water and pat the skin dry. Repeat the process regularly to treat acne. Separate egg white from 2 – 3 eggs. In a bowl, combine 2 tablespoons of baking soda, 1/4 cup of low-fat plain yogurt, 2 tablespoons of lemon juice and egg white. Mix the ingredients well until it forms a creamy paste. Apply this creamy mixture on the affected areas. Allow it to dry for about 20 – 25 minutes or more until it begins to tighten. Finally, rinse off the application with warm water. Repeat this process regularly to get relief from acne. Blend 1 apple and 1 cucumber separately. In a bowl, add 1 teaspoon of baking soda, 2 teaspoons of water, 1 teaspoon honey, apple pulp and cucumber pulp. Mix the ingredients well to make a paste. Place the mixture in the refrigerator for 1 – 2 hours. Apply the chilled mixture on the affected areas of the skin. Leave it to sit for 10 – 20 minutes and rinse it off with water. Orange juice contains vitamin C which helps to make the skin brighter and the citric acid in it helps to exfoliate the skin and thus makes the pores less visible. Combine 1 tablespoon baking soda and 1 teaspoon no pulp orange juice. Rub the mixture gently in circular motions. Wash it off with water, pat the skin dry and apply moisturizer. Repeat the same process regularly to get complete relief from the acne. Honey acts as natural anti – biotic and moisturizer which helps to cure acne even on the dry or oily skin. Combine 1 tablespoon baking soda and honey. Leave it for about 10 – 15 minutes. Wipe out the applied mixture with this wet washcloth dipped in warm. Repeat the process regularly for once in a week. Note: If the mixture is too thick, then add some water. First of all, wash the face and pat dry the skin. Then take a small bowl and place baking soda, honey and lemon or orange juice in it. Mix it well to make it a fine solution. Apply this mixture on the face thoroughly by covering all the acne affected areas of the skin. Let it sit for about 15 – 20 minutes and then rinse it off to remove the mixture on the applied facial areas. Pat the skin dry and moisturize. Apple cider vinegar has astringent properties which help to clear the acne very effectively. ACV contains malic and lactic acid which helps to soften and exfoliate the skin. Combine 3 tablespoons of baking soda and 2 tablespoons of apple cider vinegar. If you have sensitive skin, add few drops of water into the mixture. Apply this paste on the affected areas of the skin. Gently scrub the mixture for few minutes and rinse it off with water. Pat the skin dry using a soft towel. Avoid rubbing harshly. Now, take a small bowl and add equal parts of apple cider vinegar and water. Stir well and using a cotton ball, apply this solution on the acne affected areas. This helps to close the pores. Leave it on for few minutes and then rinse it off with water. Pat the skin dry and apply any moisturizer. This process is very effective in treating cystic acne. Combine 1/2 teaspoon of baking soda and a pinch of sea salt. Pour sufficient amount of water into it. Apply this paste on the cystic acne affected areas. Allow it to sit for few minutes or until it dries completely. Repeat this process for 1 or 2 times in a day until you get relief from cystic acne. Toothpaste helps dries out the acne and ultimately reduces the healing time. Combine 1 teaspoon baking soda, 2 teaspoons of water and a little bit of toothpaste (Avoid using a gel based and teeth whitening toothpaste). Apply this mixture on the acne prone areas of the skin. Let it sit for about 5 – 10 minutes and rinse off the application. Continue following this process regularly until you get relief from acne. Alternatively, you can apply the toothpaste which contains baking soda. Alternatively, combine equal amounts of baking soda and toothpaste. Apply this paste on the acne affected areas and rinse off after 10 minutes. Hydrogen peroxide kills the bacteria which causes acne on the skin due to its antiseptic property and also clears the complexion by preventing the future breakouts. Apply this paste on the clean skin thoroughly. Let it sit for about 5 – 10 minutes. Rinse it off with water and pat dry using a soft towel. Apply moisturizer to prevent dryness. Follow this process once in a week on oily skin and once in 10 days for dry or sensitive skin. Combine 2 tablespoons of baking soda, 1 teaspoon of cinnamon powder, juice of 1/2 lemon and 5 tablespoons of honey to make a paste. Apply this paste on the acne affected areas of the skin. Let it sit for about 5 – 10 minutes and wash it off with water. Continue doing this process for 1 or 2 times in a week. Patch test baking soda before trying out regular treatments. If it is causing burning sensation than rinse it off immediately and avoid using it. Few people have claimed that the skin’s pH balanced can be disturbed by using this baking soda for a longer time which in turn results in the bacterial growth and thus forms acne. Baking soda acts as a drying agent so you need to apply some moisturizer after trying out the method. Baking soda is different from baking powder. Don’t get confused between the two ingredients. You can apply any leftover mask on other parts of the body that are prone to acne or oiliness. Remember that not to give this baking soda with water to the children for those who are younger than 8 – 9 years old. Avoid applying baking soda on cuts, sores, burns and bruises as it will cause irritation to the skin and may cause injury worse. Unfortunately, if baking soda mixture enters your eyes, rinse it off immediately with cold water to avoid any damage. These remedies should be followed regularly to observe the results. Eat nutrition rich diet to balance your hormones and boost your immune system. 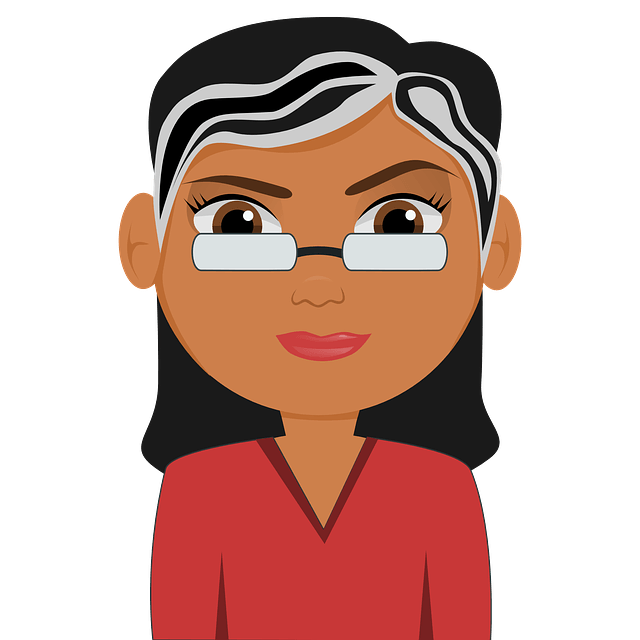 Was this article helpful to you? Did you try baking soda to treat acne? Share your experience, suggestions and queries in the comments section below. I have a few small bumps and one pimple in the middle of my forehead my first time using bakingsoda remedie treatment today. Is it better to put it on as a mask (all over face) or just place baking soda on each bump seperatly to get the best results? And how long does it take to see results? Is it good to use day and night or once a day? You can use it in both ways. Apart from the using baking soda, follow the tips and precaution mentioned in the above article to get quick results. It is better to use it nightly. It is difficult to tell the exact time frame as everyone’s skin is different. So, try to follow the process regularly until you achieve the results. However, you can observe improvement in few days. Hello, i am 13 yrs old.i have many acne on face ,when one is gone another will come. What can i do for this? Try using baking soda methods regularly to regulate the oil production and pH levels. This may help to prevent new breakouts. However, you have to take few precautions to boost the effectiveness. Avoid oily and fatty foods. Exfoliate your face regularly, drink plenty of water to flush out toxins, eat foods rich in vitamin C, A and biotin. Do meditation to reduce your stress levels. usually how long does it take to see results with baking soda and vinegar? i have really bad acne and graduation is coming up and i want to get rid of it as fast as possible. thank you! The time period of reducing acne depends on the person’s skin texture and its healing capability. It is hard to define the time without knowing about your skin. However, with regular usage you can observe improvement in a week. How long will it take to clear if you use hydrogen peroxide and baking soda to clear skin tan after swimming.. Will it take too long or will it ever clear. It is difficult to tell the exact time frame as everyone’s skin texture is different. So, we recommend trying it with patience for at least a month to check if this combination is working for you or not. If the combination is showing any improvement then you can continue or else try a different method. We recommend trying the routine mentioned in this article – http://homeremediesforlife.com/skin-lightening/. Pls can I mix baking soda with lemon and honey altogether or just baking powder and lemon..And then can I keep the mixture to be used another time or I have to make new ones each time I want to use it. You can use any combination as per your preference. It is better to make a fresh mask every time. However if you have any leftover then you can refrigerate and use it next time. Do not use baking powder as baking soda and baking powder is different. It’s OK to use pineapple juice and lemon every day?? Can I use baking soda as a mask the aloe vera as a moisturizer?